Diet plateaus are so frustrating. I can’t think of anything worse than depriving yourself and working your tail off at the gym to see the scale not budge day after day. When this happens to me, it makes me want to just give up and eat everything in sight. I mean, what’s the difference to go through all this work, and not see anymore results? However, I know that is not the answer to just give up. No one wants to gain back the weight they worked so hard to lose. So let’s figure out how to get over that plateau and move forward with our weight loss goals. 1. Drinking your calories: After some time of dieting, water may not be the drink of choice, we may start to include juices, or a glass of wine here or there. But if you are on a plateau, it is time to go back to water or unsweetened tea only. Those creamy coffees can also add up quick. Vegetable juices and even diet sodas can wreak havoc on your weigh loss. I would recommend cutting them all out until you start losing weight again. 2. Eat more salads and vegetables: When out at restaurants, start with a salad with lots of vegetables to help fill you up. Or choose a salad for your meal at home at restaurants. Three cups of salad with fresh vegetables only adds up to 100 calories. Just be sure to stay away from the good stuff i.e. creamy dressings, cheese, croutons, and fatty meats. It can add up your calorie count in an instant. Obviously a vinaigrette is the best choice and beans and low fat protein like salmon, chicken or shrimp are great choices. 3. 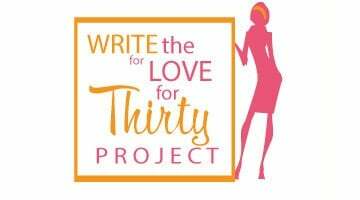 Write: Sometimes having a journal can seem daunting and take too much time, but if you are stalling at weight loss, try journaling every single thing you put in your mouth for at least two weeks. Sometimes a bite here or there can really add up, and you might not even realize it. Going over your journal can help see where there might be an issue with eating. 4. End that night eating: The toughest time to resist temptation is at night. Don’t give yourself the choice. I find that a cup of tea really helps to curb the desire. Also brushing your teeth after dinner will also help. 5. Break out the soup spoon: In several studies at Penn State University, scientists found that people who ate veggie- and grain-rich soups and stews tended to eat fewer calories overall by day’s end than people who did not eat any soups or stews for the day. 6. Increase exercise: The amount of time you exercise should be increased by 15 to 30 minutes and possibly the intensity of your exercise to burn more calories. Adding exercises such as weightlifting to increase your muscle mass will help you burn more calories. 7. Cut the calories: Cut out 200 calories if you can. If that seems too much, even 100 calorie cut can make a difference and help with that push of weight loss. 8. 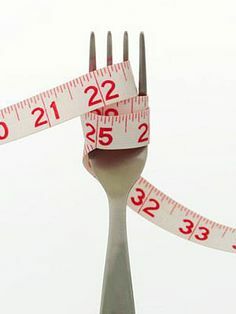 Up the calories: If you are already consuming too few calories, cutting another 200 is not going to work in your favor, because your body is in starvation mode and wants to hold onto the weight that it has left. Try adding 500 calories if you have been eating around 900 – 1,200 calories per day. You could see the weight to start to come off again. This is usually beneficial if working out is in your routine. 9. Sleep: Are you getting enough sleep really? Lack of sleep leads to increased levels of stress, which builds cortisone which least to body fat. If you don’t sleep enough, it is less time for our bodies to rebuild muscle, to recover from strenuous activity, and exercise. 10. Make mini goals: It sounds easy to give up when you are doing everything right and the same thing every day, but your body gets used to doing the same thing. Change your workout a bit, or even your diet. Have eggs for dinner, or go for a bike ride around the neighborhood, or work out tapes at home rather than going to the gym. Reward yourself for those accomplishments. Of course non-food. Manicure, or bubble bath, or a new candle or workout gear. Anything goes. 11. Don’t always trust the scale: Sometime the scale can’t account for water weight or muscle gained. Or that time of the month when your scale goes up. Trust your gut and how your clothes are fitting. Also try measuring your body and comparing the difference. Good luck and I hope these tips help you get over that hump!